Posted onMonday, December 6, 2010 by Unknown . There are several activities that you can do in this park such as: - Safari Forest - forest adventure - Diving and snorkeling - Mountain hiking and mount climbing - Hill walking - Beach adventure to watch the fishermen's daily activities and seed seekers - Canoeing, rowing or boating until you the Fresh Water Gulf, Sejile Gulf and Bilik Beach. Conducting some scientific researching (with prior permission). If you prefer to safari to Baluran National Park, there are some cottage designed in Madurese style and operated by Environmental Education Center. There is also a main lodge that will serve you European and Indonesia cuisine. Villas and lodges, you can rent them with your group members (about 20 persons capacity) and the also provide a praying room and a canteen. There are two guesthouses by the beach, but you should have prior reservation. Baluran Information Centre and a small museum that has several preserved animals by the main entrance operated by The Forestry Conservation Region Office. o If you take a car, it takes 5 hours from Surabaya and 4 hours from Denpasar, Bali. 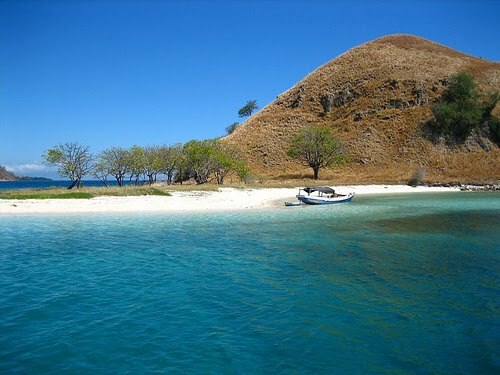 o For tourists who stay in Pasir Putih, it takes 1.5 hours and only 1 hours from Situbondo. In Baluran National Park, you can see a historical place called “Gua Jepang” (Japan Cave). Gua Jepang is one of historical witness that in this place (Baluran National Park) was happened battle between Indonesia army against Japanese army. Because unequal power, there are a lot of Indonesia army who died in that battle, so this place also called Batangan. Gua Jepang has wide about 12 km that contains in 2 chambers. The north chamber was used to save the weapon, while the south chamber was used as a fissure to see an enemy. Beside Gua Jepang, in the Baluran National Park, you also can see Bekol savannah. It's about 12 km from the entrance Baluran National park. You will see a flock of deer, bulls, etc, in the morning and in the afternoon (when the sun goes down) to do their activity. You also can see their activity and behavior of those animals from the height. 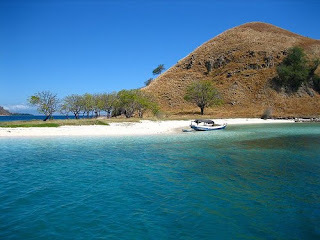 Bama beach is located in the east of Baluran National Park. You can see the original beach and the fantastic panorama in here. Beside that you can see the mangrove forest, Bama source and Mantingan source. One of special moment here is that you can see monkey with the long tail (Macaca fascicularis) that fishing crabs with their long tail. If you like go on food, you can pass the truck and you can see the beautiful panorama of Bama Beach on the height. Just with 15,000 Rupiahs per person you can spend the night in Bama Beach to enjoy the beautiful panorama at night here. berkunjung disini .. nice blog friend ..
Theme by SEO Design. Optimized by SEO Image | Blogger Template by Blogger Template Place. Go to top.